Seventeen years ago, a team of 9 elite KGB agents entered a building. After an unexpected explosion all were presumed dead. Flash forward to today where we find a handful of the survivors living anonymous lives after defecting to America. Having adopted new names, lives and histories all over the United States, life seems to be going well. What they do not realize, is that there were other surviving members of the blast that day. Aided by an unlikely benefactor, their surviving comrades are in America and itching for retribution. 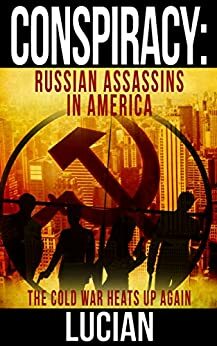 Assassins encompasses a roller coaster week from Florida to California and all points in between as the surviving KGB agent and accomplices attempt track down and mete out justice to their traitor comrades. Nowhere is safe as the ‘traitors’ are located, confronted and eliminated. One survivor, now known as “Mike” with the help the FBI sets out to find and stop the assassins before they are successful in exacting their revenge. What started as a covert mission of personal retribution turns into a game of “Spy v. Spy” with the potential to reignite the Cold War. For anyone who likes suspense this is definitely a must read. The battling former teammates adds an additional layer of violence to the mix. This isn’t business, it’s personal, but because it’s personal the question arises; how do you torture someone who knows all of your tricks? There were definitely a few moments that had me squirming in my seat as the former team mates collide. Overall a good, fast paced story.